Back in 2013, I asked some of the best minds in search to give me their #1 landing page optimization tip. Their answers led to what has become one of the most popular posts on this blog. The advice is so good, I decided to revisit it and update it for 2015. With that, here are 8 killer landing page optimization tips for PPC in 2015. #1: Maintain relevance. The headline & supporting statements have to be aligned with the ad/source/intent of each visitor segment. From Andrew Miller. 2015 update: What more can I say? Relevance is key for driving great results, and it doesn’t hurt for your quality score either. #2: Focus on your offer. Build & optimize the messaging & imagery for it. If done well, then the landing page foundation is set. From James Svoboda. 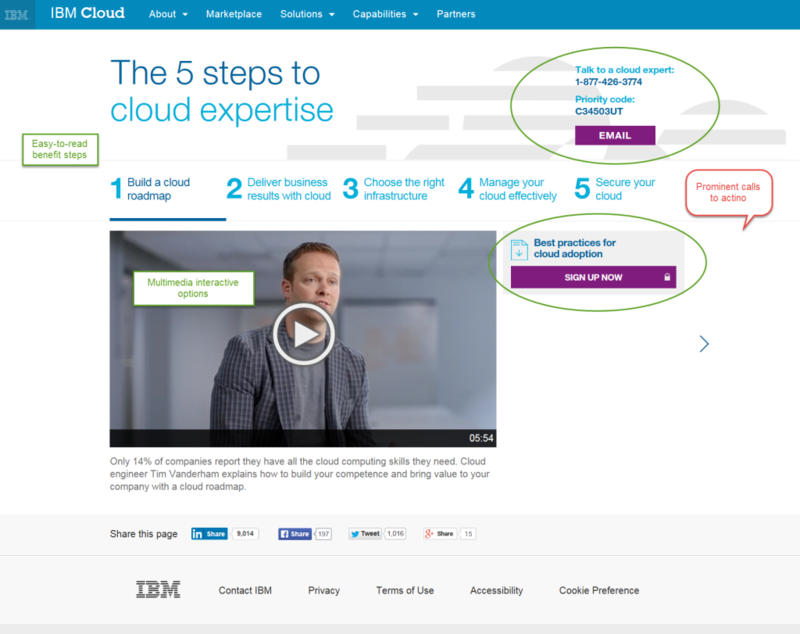 2015 update: I’ve seen a lot more relevant landing pages in 2015 than in 2013. Advertisers seem to have finally caught on to the fact that they need to clearly state what they want users to do. #3: Speed is key. 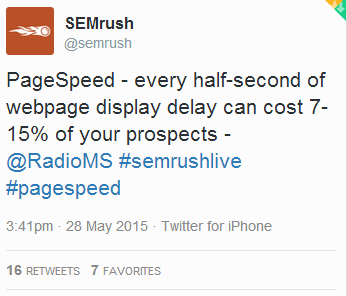 If landing page elements take too long to load, the prospect will move on. Work with developers to lighten load times. From Chris Kostecki. #4: Make sure your tone & language match your target audience. Best offers & calls to action won’t work if people don’t understand them. From Julie Bacchini. 2015 update: Just a couple weeks ago, I was working on a competitive audit for a client. We were researching the PPC market in Mexico, and one of the competitors spending the most in PPC was running ads in English – and driving traffic to an English landing page. Yet we know most people in Mexico trust Spanish-language marketing more. Match your audience in as many was as possible. #5: The page should make sense and capture attention in a few seconds. If it doesn’t, that’s a problem. People skim. From Jeremy Brown. #6: People are lazy! Increase conversion by prepopulating lead generation forms using search query & IP address info. From PPC Associates, now 3Q Digital. 2015 update: The advent of using social plugins to populate forms is just one indication of how important it is to make forms easy to fill out. #7: Don’t make changes to your landing page too early. Base your change decisions on statistically significant data. From Stu Draper. 2015 update: Using a testing tool like Unbounce or Optimizely will help you know when you’ve reached significance on a test. Don’t rush this process. #8: Get Rid of Distractions! 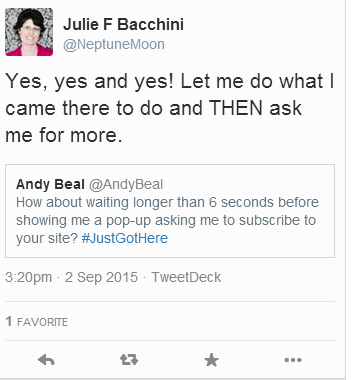 If you want someone to purchase, don’t distract them with floating newsletter signups. From Bryant Garvin. It’s especially annoying when I’m trying to read an article on a mobile device, only to be hit up with a popover that I can’t even find the X to close. Stop the madness, people! And now, some bonus tips from the great comments I got on the 2013 post! 2015 Bonus Tip #1: Do some in-person one-on-one interviews once in a while with people who have never seen the page, you’ll be surprised what you hear and you will always learn something. From Lisa Sanner. 2015 Bonus Tip #2: People do not like filling in too much information in the enquiry forms. The shorter and to the point form is the better. From Avatar South Africa. Got a killer landing page optimization tip not mentioned here? Share in the comments! Interesting test idea, Chris! You’ll have to blog about it and let us know how it works. And, love the message window rather than the newsletter popup, which is so overdone these days. One more tip: Avoid forms altogether and use social sharing as CTA. Even works on B2B websites. Great updated post Melissa! Something I always try to implement is value-based content. If someone is looking for a new forklift, your content shouldn’t be about what a forklift is and what it does. The content might help keyword relevancy, but it doesn’t help conversions. People who need forklifts already know what it does and what they need it for. The content should be focused on how your forklifts are better than others out there or WHY they need your forklift now instead of shopping around. Value content will be relevant to the search query as well as the user intent. Value-based content surrounded by testimonials, third-party reviews, etc. will make the user feel comfortable converting the first time instead of looking around. @JoeMartinez: +1. I’m a B2B marketing professional myself and completely agree with your comment about what the landing page content should be from the p.o.v. of conversion. However, as you’ve implicitly acknowledged, such content might harm keyword relevancy, which in turn reduces Quality Score and harms your Google Ad. I’ve found this to be a major challenge in using Google Ads in B2B. The situation is even worse when it comes to enterprise software where the need for the product is tacit and landing page must first address why someone should bother to buy the overall product category before launching into specifics of the product and competition. The overall impact on the quality parameters of Google Ads are so drastic that I’m increasingly avoiding Google Ads for B2B tech campaigns. Great tip. Just be sure that you’re landing page is relevant to your keyword. Put all the necessary content that your customer’s looking for.